The Republican vice presidential nominee says he wants to fight poverty. Actually, he’s fighting the programs that have reduced poverty. Paul Ryan has a right to be wrong. He can believe that anti-poverty programs don’t work. But he does not have a right to foster the fantasy that his opinion is grounded in reality. Unfortunately, media reports on the Republican vice presidential candidate’s “big” speech on how to address poverty, focused on Ryan’s glib one-liners rather than the fact that his basic premises are false. That’s a nice play on words. But there’s a problem. Ryan wants us to believe that the “war on poverty” is what’s causing poverty. With a few exceptions, government’s approach has been to spend lots of money on centralized, bureaucratic, top-down anti-poverty programs. The mindset behind this approach is that a nation should measure compassion by the size of the federal government and how much it spends. The problem is, starting in the 1960s, this top-down approach created and perpetuated a debilitating culture of dependency, wrecking families and communities. So, in Ryan’s opinion, the “war on poverty” that President Lyndon Johnson declared in 1964 as part of a broader Great Society initiative made matters worse. How do we know? Census data. In 1959, 22.1 percent of Americans lived below the poverty line. In 1969, 13.7 percent of Americans lived below the poverty line. The poverty level has varied since 1969. It has gone as high as 15 percent. But it has never again gotten anywhere near where it was in 1959. What changed during the 1960s to dramatically decrease poverty? “Centralized, bureaucratic, top-down anti-poverty programs” like Medicare (1965), Medicare (1965), the initiatives launched with the Food Stamp Act of 1964 and Economic Opportunity Act of 1964 programs such as the Jobs Corps (1964) and Head Start (1965). An honest political leader who really wanted to do something to finish the “war on poverty” would propose to expand them, with, for instance, an expansion of Medicare to cover all Americans, and a real Jobs Corps that would put Americans to work rebuilding the crumbling infrastructure of America. But Paul Ryan does not believe that. He says “the problem” started in the 1960s. Indeed, if Ryan is known for anything it is for his determination to downsize, voucherize and privatize the programs that have worked, that are working, to fight poverty. 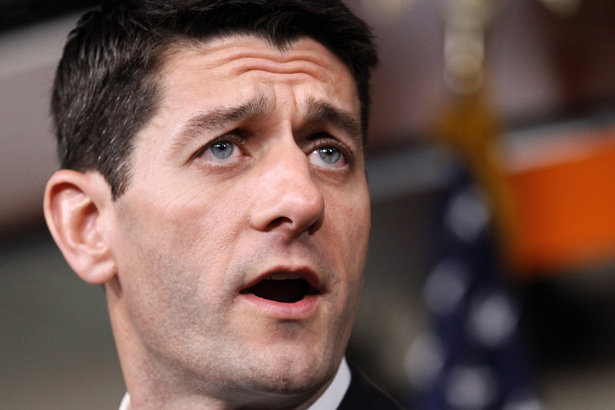 Paul Ryan has taken as side in the war on poverty. He’s against what works. Ryan has a right to take the positions that he does. But no one should confuse those positions with a sincere commitment to fighting, let alone ending, poverty. For more on the invisible issue in this election, check out Greg Kaufmann on "What We Talk About When We Talk About Poverty."